Evergreen POS is seeking to grow its business by growing the business of its clients and seeking long term relationships with the small businesses of Main Street, USA. This is turning onto its head the standard mode of operations for POS companies that frontload clients with heavy fees, expensive hardware, and onerous installations. Evergreen offers an all in one point of sale system with all of the out of the box features a business needs with a wide selection of Evergreen Apps plus stand alone applications for mobile payments. Evergreen's motto is "Just what you need" because for a startup or existing business - it is. Our App model lets a client start with a small system and add to it as they grow. Apps can vary from raising limits on inventory, syncing with Quickbooks, security features, client management systems, and many others. If a business needs this function, they can add it, if they don't, they won't and will reduce their monthly expense for a point of sale. Our base point of sale product can be used with sophisticated hardware, desktop computers, tablets, and even a unique solution just for smart phones. Affordable payment services are offered through Evergreen without the need for external processers as one of the many extra business services offered like e-commerce, gift and loyalty programs, employee management, and more. Our system has been designed and engineered to be usable both by a novice, migrating over from a traditional register, and an expert that can zoom with efficiency and experience through a POS platform. 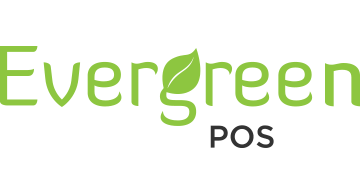 Evergreen POS has made a commitment in its mission statement to provide a helpful and endearing product that is invaluable to any size business. Our pledge is to be a POS company that assists the growth, strength, and stability of our client's businesses. Our goal is that our clients see us as a helpful tool and a helping hand for the lifespan of their business. Our mission, goal, and pledge excites our team and soothes our clients. Our bedrock is a mutually beneficial relationship to allow both our clients and ourselves to succeed and prosper for years to come.